At the Y, strengthening families is our cause. We know when we work together, we move more individuals, families and communities forward. Every day, Y staff, volunteers, members, friends and community partners work side-by-side to tackle the important issues impacting the Alleghany Highlands. Together, we can make this a reality for the Alleghany Highlands. Our community faces challenges, but we see possibilities rather than obstacles because of committed Y friends and generous donors like you. By enrolling your Kroger Plus Card and selecting the Alleghany Highlands YMCA, each time you shop at Kroger using your Plus Shopper’s Card, the Y will earn rewards (restrictions apply on fuel, alcohol and tobacco purchases). 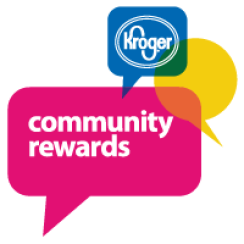 Visit www.kroger.com/communityrewards or click on the Community Rewards image above. Search for Alleghany Highlands YMCA or enter the Y’s organization code – 83484. Registering your Amazon account is just as easy! Go to https://smile.amazon.com/ch/54-1637131 or click on the Amazon Smile image above. Each time you make an Amazon purchase, simply go to smile.amazon.com. The same products and prices are available as on Amazon.com.